My parents gave my husband an Amazon Echo for Christmas, and I'm surprised at how much I've enjoyed having her in our home. I'm always asking Alexa questions, and she is able to answer most of the time. 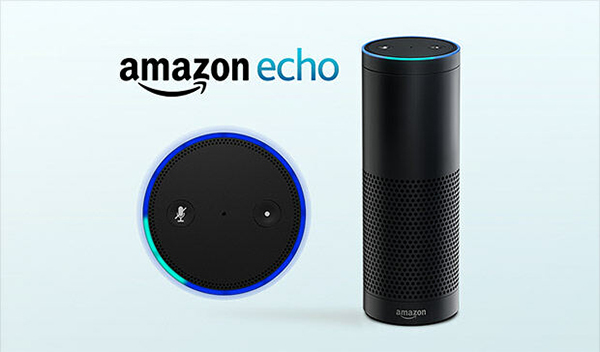 There's nothing revolutionary happening with the Echo. Anything Alexa can do my iPhone could do too. However, it's nice in the kitchen to get questions answered on demand without queuing up Siri. Alexa isn't as smart as Siri, yet. Alexa is an open mic that's connected to the Internet, which means there's 100% chance that someone else in the world is listening to our household. This isn't safe. However, our household isn't secretive. We're normal people having normal conversations. The US government, the Chinese, or Jeff Bezos won't learn much from listening to us. I don't like the idea of someone(s) listening to what I say in the privacy of my home. That really takes away the privacy. I would never get one of these for that reason. Yet I gave y'all one. Well at least you knew what it meant. :) Love you.